Like many pet owners, we have battled with fleas so we know how important flea protection is. We have tried every brand of flea prevention available and have had good results with some and very bad results with others. When PetArmor offered me their “Take a Hike” gift pack along with the chance to review their flea, tick and lice protection, I was happy to try it out; not only because it’s always nice to test this type of product without the upfront investment, but because PetArmor is priced well below other leading brands, so if it worked and we liked it, it would save us money in the long run. PetArmor is the first EPA approved generic fipronil product used to treat both dogs and cats. It is sold through major retailers, such as Walmart, and offers a substantial savings to leading flea protection. PetArmor is available in two forms: PetArmor which kills fleas, ticks, and chewing lice and PetArmor Plus which kills fleas, flea larvae, flea eggs, ticks, and chewing lice. I’ll admit that I was skeptical about whether PetArmor would work or not. We have been buying our flea/tick protection in a pill form because the topical kinds just don’t work for our animals. Happily, though, PetArmor proved me wrong. To do the study thoroughly, I gave one of my dogs the pill form, one an old tube of Frontline, and one PetArmor. The dog with Frontline still had fleas 3 days later, so I put on PetArmor and they disappeared within hours. My dog that was given the pill was flea free longer than the dogs that had PetArmor, but PetArmor is much more inexpensive, so that’s fine by me. Overall, I was very pleased with how PetArmor performed and will be purchasing it again. You can buy PetArmor for dogs and cats at Walmart, Amazon.com , and Sam's Club. Also, visit PetArmor on Facebook to take the PetArmor Pledge to protect your pets. Each pledge taken will prompt a $1 donation to the ASPCA, up to $100,000. Thank you to PetArmor for providing a complimentary product sample and gift pack for us to base this review upon and for providing a second gift pack for our contest prize. One lucky reader will receive the "Take a Hike" Gift Pack . 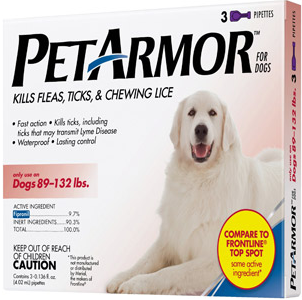 . .
Browse the selection of flea and tick protection products offered by PetArmor. Then leave a comment telling me which product would be the right one for your dog or cat. You MUST do this to be eligible to win this contest. 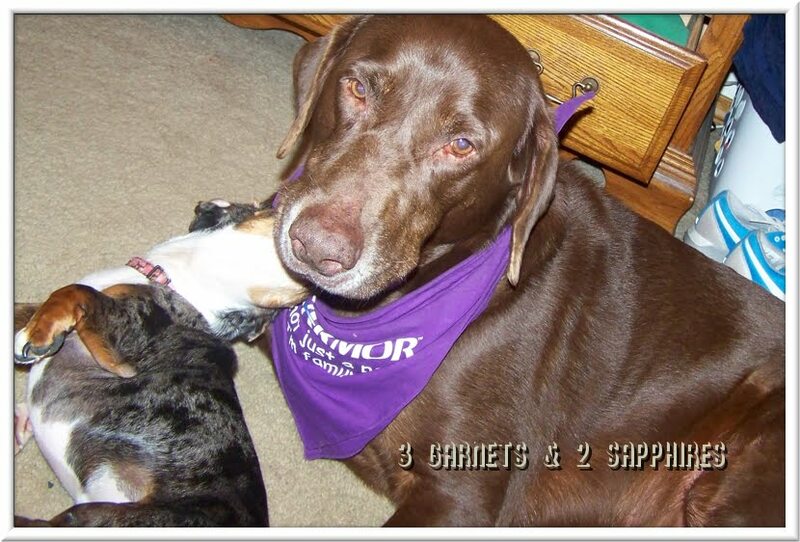 3) For 10 extra entries, take the PetArmor Pledge on Facebook to protect your pets ($1 will be donated to the ASPCA). Then come back here and leave TEN separate comments telling me you did. 4) For 1 extra entry each, Friend me on Facebook and/or "Like" the 3 Garnets & 2 Sapphires Facebook page, then leave a separate comment here telling me so with the link to your Facebook profile. 5) For 1 extra entry each, follow PetArmor on Twitter and/or "Like" PetArmor on Facebook. Then leave a separate comment for each with the link to your Twitter or Facebook profile.